Paige Pieroni – Grew up in Norwell, and joined her parents at Colony Rug Company, Inc. in 1997. In 2011 she became the owner and also serves as the company President. 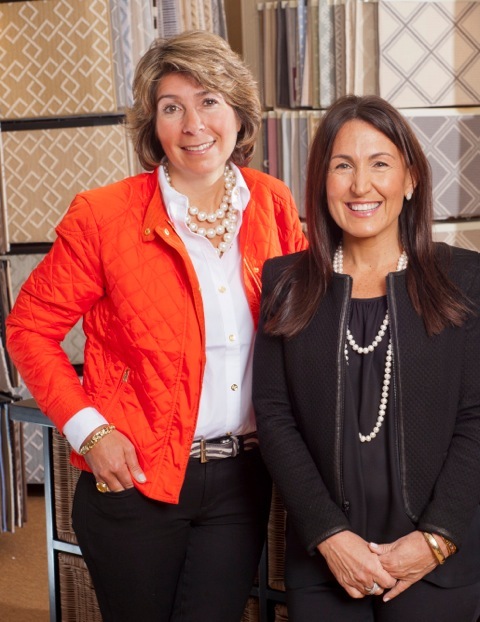 After a career in sports marketing, it was time to join her family’s business to continue her pursuit of quality and excellence that has made Colony Rug into one of the most respected, specialty floor covering stores in the New England and beyond. Colony Rug is acknowledged by both designers and manufactures alike for their integrity, uncompromising quality and selection, professional service, and meticulous craftsmanship. From overseeing the day-to-day operations, to staying in tune with the ever-changing design trends, Paige has guided the company from a primarily local retail based storefront, to one that has evolved into a designer destination showroom. While maintaining a strong client base in the Boston area, Paige has led the company to expand into new markets throughout New England, the Islands & internationally. Paige lives in Scituate with her husband, Michael. Michelle O’Grady – Since 2007 Michelle has brought her creative expertise to Colony Rug. A Boston College graduate, with an advanced degree in design, she also has background owning a home decor business on the South Shore. With this combination, she possesses a fantastic perspective to aid clients. From contemporary to traditional styles, she has the ability to work with clients to determine what products will work in any setting. Michelle also oversees the social media accounts for Colony Rug, lending her passion to the company’s digital presence. She lives in Milton with her three children. Shane started with Colony Rug in 1998. In those 20 years he has honed his skills to become a master fabricator. Shane can do it all from a standard cotton binding to hand sewing a custom boarder. Shane resides in Duxbury. 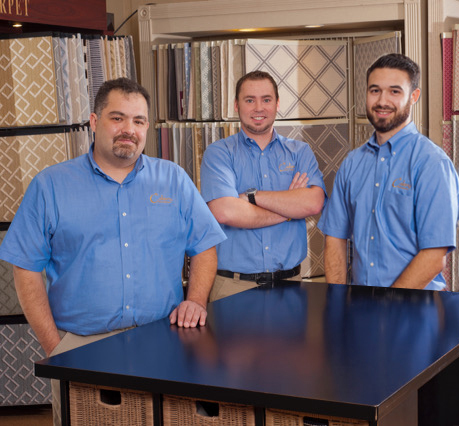 Ryan started with Colony Rug seven years ago while a student at Bridgewater State University, where he graduated in 2014 with a bachelor’s degree in Business Management. Ryan is responsible for many of the logistics relating to projects: from interfacing with designers and architects, suppliers, overseeing freight and deliveries, and travel arrangements. In addition he helps coordinate labor scheduling and he maintains the company website. Greg as been a member of Colony Rug since 2007. Greg attended the New England Institute of Technology and graduated in 2011 with his Associates Degree in Construction Management. His skills are put to use by conducting site measures and estimates in addition to deliveries and on site fabrication. Greg lives in Carver with his wife, Alison, and their two dogs. 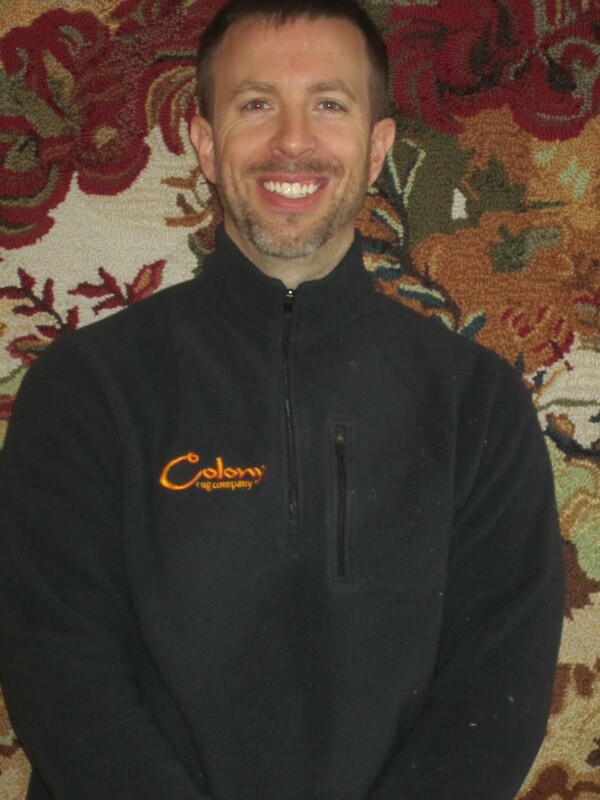 Justin haas been installing carpet for the past 25 years and he has been affiliated with Colony Rug for the last 15 years. Justin’s ability to hand sew and fabricate an array of textiles on site, as well as his proficiency in finding custom solutions to meet a designer’s vision. He has been fortunate to display his talents on both international and national projects for Colony Rug, most notably in England & Bermuda! Justin lives in Marshfield with his wife and 2 children. 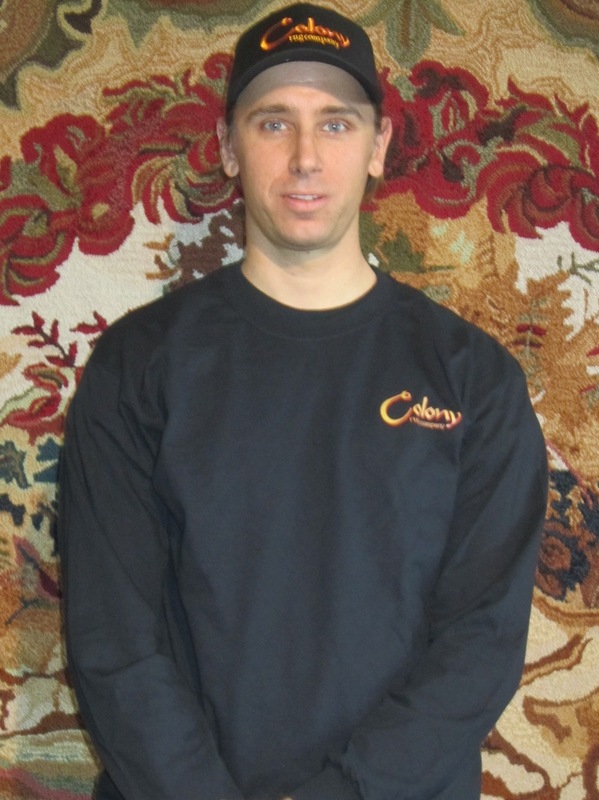 Mike has been installing carpet for 25 years, and he has been affiliated with Colony Rug for the last 20 years. Mike is skilled in every type of installation whether it be residential or commercial. A Hingham native that now calls Hanover home with his wife and two daughters.